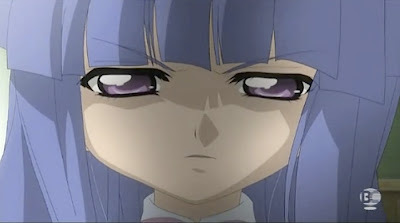 With some very interesting turn of events, the episode 3 of Higurashi no Naku Koroni Rei threw a huge curve ball at us. Not only it presented the problem that needs to be solve in this arc, it also suggested a solution, a cruel and potentially disastrous one. On top of that, the sudden out-of-nowhere violence which we have seen so many time in the first series but somehow omitted by the second series made a return to this episode. That was greatly satisfying. On a side note, I think their attempt on the explaining of the "science" behind these events is a bit cheesy. In my opinion, they really didn't have to go into the details as they did in this episode. A rough explanation would be better as they probably wouldn't sound as cheesy. Overall, this is the best episode in this OVA series so far. Hopefully we'll get an equally satisfying wrap-up to this arc in the next episode as well.